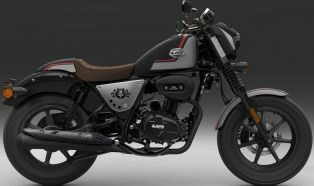 The UM Renegade Duty Ace looks like inspired by the Harley Davidson Iron 880 in styling. The bike has tear drop fuel tank along with rear seat cowl. The headlight is been covered with bikini visor unlike the Renegade Duty S, which has old school round headlight on board. The front telescopic suspension comes covered with rubber boot opposite to the exposed shock absorber tubes of Duty S variant. 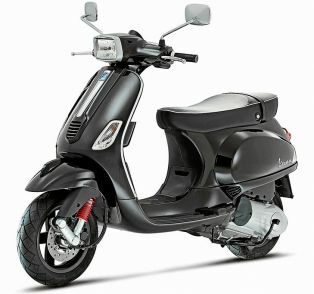 The UM Renegade is equipped with 223cc single cylinder oil cooled engine bolted on diamond type steel frame. 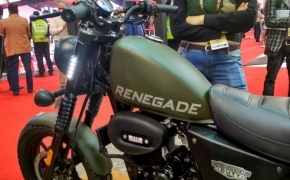 UM Motorcycles has introduced the Renegade Duty Ace at the Auto Expo 2018.